It’s both exciting and stressful negotiating a real estate purchase contract. Once it’s signed by the sellers, buyers can relax a bit, but Real Estate Bell can’t. There are still more negotiations, document deliveries, inspections, title details and mortgage tasks to be accomplished to reach a successful closing. 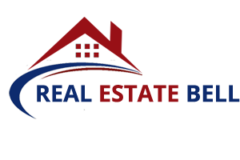 There are number of companies and people involved in a real estate transaction, including attorneys, surveyors, appraiser, title company, mortgage broker, lender, loan underwriter, both agents, and possibly others. Each has specific duties and requirements, and each is concentrating on doing a good job for you. However, their focus is narrow, targeted on their specific niche in the deal. As your buyer agent, we’re your “go-to” resource to bring it all together. This makes selling a home Maryland/VA/WA quite difficult. So, we’re here to coordinate the activities of all of these companies and people for you. We’re constantly monitor those 50+ document delivery items and the work done by these people. Daily we check the progress against contractual deadlines and act on our project requirements. A lot of this activity goes on behind the scenes and you’re not even bothered. Some of it demands your documents or actions. Please understand that our overriding goal is a smooth transaction, and getting you through meeting all deadlines is one of our jobs. We’ll only bother you when necessary, telling you what we need and when, and moving you through to a successful closing. There is a lot more, but those are the highlights, and many sub–tasks are related to each of them. Real Estate Bell is obsessed with proper follow–up and detailed coordination of every step of the closing process for our buyer clients. It’s critical that we make all deadlines and keep the transaction on track to avoid defaulting on any terms of the contract. We’ll keep your real estate transaction on track, and you’ll have the time and advice you need to assure you’ve covered all of the bases prior to closing. We make every time the best time to sell your home.